Its just a half block to the beach from your midtown, ocean block unit which features central air and two balconies. Parking for 1 vehicle and an outside shower. Great dining nearby and close to the new midtown boardwalk. 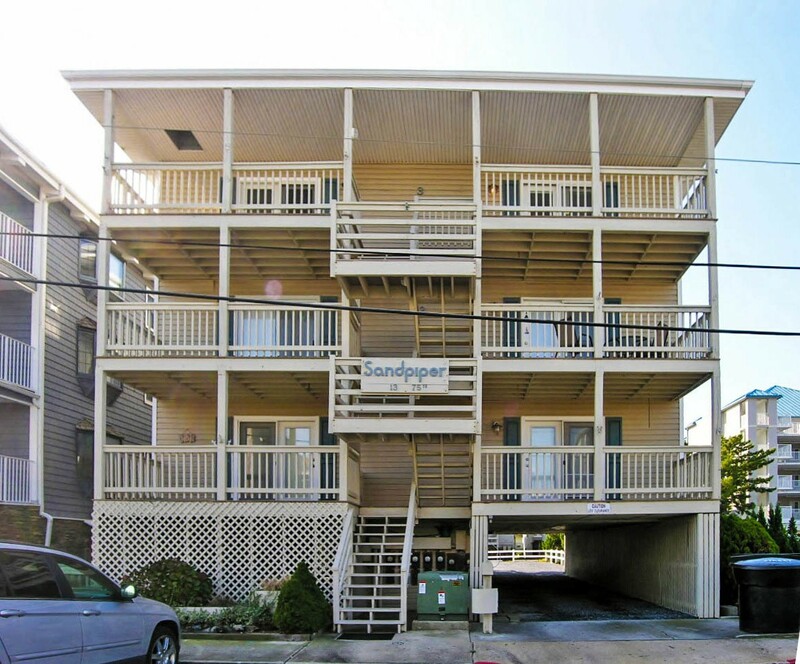 Sandpiper building has outside shower among other amenities.